The Life Of Faith: She's 30 weeks! Woohoo! I have made it to 30 weeks! For some reason this seems like a big milestone and now the countdown to labor and delivery is just that much more real! I have loved hearing from you and all of your birth stories and experiences with your babies. Thank you for being willing to share with me! This week's agenda is to get my birth plan together. I know I don't need it yet, but I want to have plenty of time to talk it over with my doctor and get the research done that I need to. If you blogged about your birth plan would you link it up on the Mommy Moments Link Up, or share it with me in the comments below so I can check it out? I'm a little lost as to where to begin! Did you have a birth plan? What were some of the things that you were glad you had planned out? How far along: 30 weeks-only 8 more to go till I'm a full term pregnant woman! Movement: She is all over the place! I probably have my hands on my belly more often than not these days because I love feeling her kicks and movements. Sometimes I can feel her snuggle up to my hand and it melts my heart. I can't wait to snuggle with her here on the outside! Best moment of my week: The weekend with Jimmy! We had a lazy Saturday together and it was amazing. It's been forever since we've just been able to be at home together without a million places to be! Worst moment of my week: Swelling for sure...I have never had such a weird feeling in my calves and ankles! Any tips for getting rid of swelling? Sleep: Other than getting up to use the bathroom about 3x a night, I'm sleeping alright! Miss Anything: Being able to get comfortable lying down. And I miss sugar! I have only had ice cream 1x this entire month! That should be a crime! Cravings: Sweet things...which are a no no for me right now because of my high sugar! Aversions: Eggs never stood a chance this whole pregnancy. That's about it though! I've been able to eat pretty well everything else lately. Belly Button: I didn't know there was this much belly button to stick out! Labor Signs: Braxton Hicks...they have been a little more uncomfortable lately, but nothing to worry about! Moody or Happy: Very happy! I am so thankful to be healthy and have a healthy baby! What more could a mama ask for? I don't feel old enough to be that lady having a baby shower! It's crazy how quickly life can change! If you want something sweet, just eat it then walk up and down the stairs for twenty minutes. I had sugar problems too and just doing some activity after that cookie would bring my glucose down. That so awesome! Hope you enjoy your baby shower, my sisters baby shower is this weekend, and i took can't believe how fast a pregnancy goes i feel like she was just 12 weeks the other day! Try watermelon and cucumber for swelling. It makes you pee a lot so don't do it before bed lol. I ate a bunch of watermelon the other night and was up 10 times peeing. But hey, I woke up with a lot less swelling than usual! Oh, you're TOO cute! Really after you hit 30 weeks, EVERY week feels like such a big milestone! have a great day, and CONGRATS on 30 weeks! 2. The second thing I was really glad we had on the plan was everything for the baby. It's just nice to make all those decisions before hand so that you and every one in the delivery room with you is on the same page. other than those 2 things I don't feel like i really needed the rest of my "plan". Other decisions you are generally able to ask for and make decisions on in the moment, and that works just fine in my experience. With my 2nd baby our birth plan didn't even make it into the hospital room before I had the baby. she came that fast. LOL but I made one! I think it is a good idea to make one though just because it brings up options/discussions that you may not have thought of on your own. good luck to ya! I always felt like 30 weeks was really close too!!! eeeek! so exciting!!! ooo being comfortable lying down! The night I had Kylie I was so relieved to lie on my back! I have had some swelling too at the end of long days. I just sit down, relax and literally put my feet up. I prop them up with a few pillows and just do nothing for the night. So far, this has taken care of the problem for me. I'm glad everything is going so well for you! Stay off your feet as much as possible and elevate them to help w/the swelling!! Sounds like your doing really well! Ahh I hated eggs with my pregnancy, too! The smell would just gross me out big time. I never had a birth plan, and things worked out just fine. I think it really depends on if there are aspects of the labor that are really important to you. All I knew was that I wanted an epidural and skin to skin contact the moment she was born. Most hospitals now encourage you to have skin to skin contact ASAP, though. Well aren't you just adorable?? I had a birth plan (for a natural birth), but I think the most important thing is knowing that no matter what, don't expect things to go exaclty how you plan them. Every labor/delivery is SO different and you can't predict how things will go. I'm all for being prepared though and knowing what you want/advocating for yourself (having your husband know your needs so he can advocate for you as well). Such an exciting time!! : ) No matter how it goes, it will be perfect ; ) Good luck with the rest of your pregnancy. I felt like things started to fly after 30 weeks! xoxo New follower! Okay gorgeous pregnant lady!! Love the baby bump! You are an adorable pregnant lady. I did not have a birth plan, all I wanted was to have a baby. I went in with my mind open to all options and it worked really well for me. 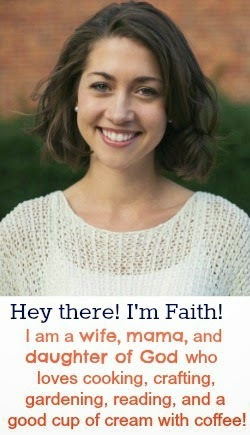 Hey Faith! I've been following your posts and haven't posted but swelling is not always a good thing. How's the blood pressure? Not climbing hopefully! To get rid of swelling or to help against it get your feet up above your heart whenever you are siting or in the evening. Good luck! Prayin for you and Jimmy! Congrats on growing belly bump! saw you on mommy moments blog hop and i am your newest follower! have a great week! Hi Faith, I am visiting from Mom's Monday Mingle (new follower via bloglovin') . 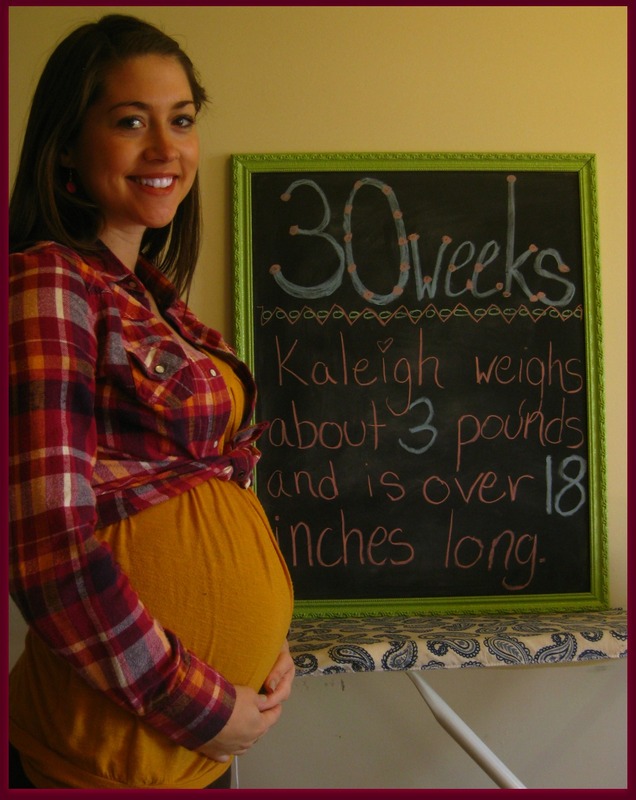 Congrats on making it to 30 weeks! it is a huge milestone, only 10 weeks (give or take a couple) to go! You can do it. I just had my first baby a little over 2 weeks ago and I haven't posted her birth story yet (I plan on doing it this week if you want to stop by and see it then!) But I will say, I didn't have a typed birth plan, just a few important things I talked to my midwife and my husband about. The midwifes I worked with already did so many things the way I wanted (let me hold my baby for at least 45 minutes before they did any checking, weighing etc, don't do episiotomies unless absolutely necessary (prefer natural tearing), leave you alone for much of the labor process and listen to your needs), so I didn't really need a typed plan. Also this really helped me to go into labor with an open mind about what happens. I did get pitocin and an epidural because my water broke first and my labor was going very slow (until the pitocin then it got quite intense, hence the epidural). I would honestly say, I am so glad I got the epidural, but if I did it again, I wouldn't definitely get it a second time, unless the labor was similar. I was worried about not being able to push or feel anything during pushing if I had an epidural but I felt just the right amount to feel so empowered by the pushing, and to have productive pushing, with out being in much pain. Anyways stop by my little blog some time and you can read more (probably not till later this week though since having a baby slows down the blogging process a bit). Hi there! I just popped over from Moms Monday Mingle! I'm 19 weeks pregnant and I love keeping up with other preggos! I'm your newest follower and I'd love to have you follow us back. Woo Hoo for 30 weeks! I will be there next week and it just blows my mind. 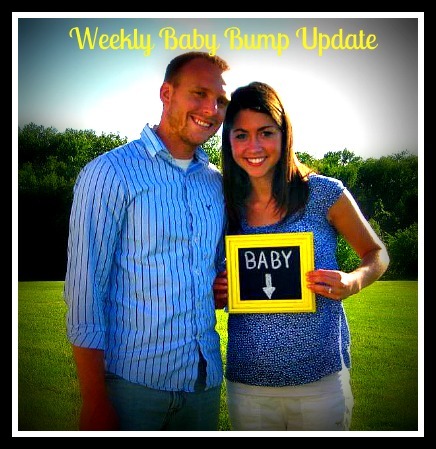 Doesn't it feel like yesterday that we were in our first trimester? Can our babies really be coming in a matter of weeks?! Can't wait to see what you come up with for a birth plan. I have no where near thought about it. Have fun at your baby shower though!! Hi Faith - I sent you an email with a copy of one of our birth plans. Hope it's helpful!